Many Certified Master Inspectors® recommend that their clients have an annual inspection performed every fall. 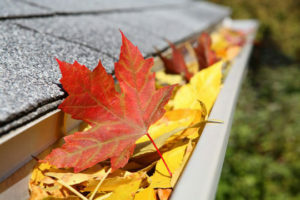 Seasonal maintenance is extremely important for keeping a home in top condition, and the best time to have an annual inspection is before the weather turns cold. In addition to recurring business from repeat customers, Certified Master Inspectors® can capitalize on offering Annual Home Maintenance Inspections by alerting the client’s neighbors. The neighborhood is really a built-in local market, so inspectors should take advantage of this kind of close-proximity marketing opportunity. Upon completing an annual inspection, it’s a good idea to mail a letter to all the neighbors asking them if they would like a pre-winter inspection. Include a copy of the testimonial from the client whose inspection you just completed (but be sure to first ask your client for permission to do this). YOUR NEIGHBOR IS A GENIUS! I’m writing to let you know that we performed an annual home inspection for [Client’s Name] on [Client’s Street]. [Client’s Name] has given us permission to send you their enclosed testimonial. As aCertified Master Inspector® trained and certified in providing top-quality home inspections, I offer my extensive experience to help you keep your home in optimum condition. Before the onset of winter, let me evaluate your home and help you discover any deferred maintenance and other potential issues before they become problems. Winter is the most inconvenient time of year for daily disruptions and costly repairs, which is why I strongly recommend that you have me perform your first annual inspection now. I’d like to talk to you about our annual inspection service. Please call me on my cell phone at [Your Phone Number] for a free consultation. I look forward to hearing from you soon. Annual inspections clustered in the same neighborhoods during the fall can mean big business at a time when new home builds and purchases are slowing down for the year. Just a little bit of research (and some stamps) can mean the difference between a dip and a drop in revenue.